Do I dare try to take up the hobby of sewing? There are so many adorable patterns and fabrics. Plus, when you find patterns for adorable clutches like the one below, how can you not want to sew!? Seems simple, but at this point I might have to settle for a friend with an established sewing talent…any takers? 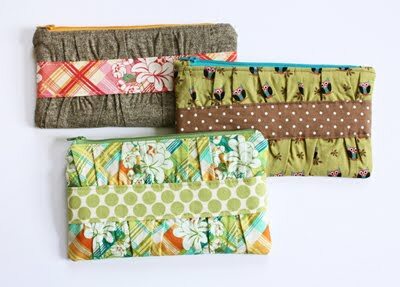 For those of you ambitious enough, you can find the complete directions at http://www.noodle-head.com/2010/04/gathered-clutch-tutorial.html.